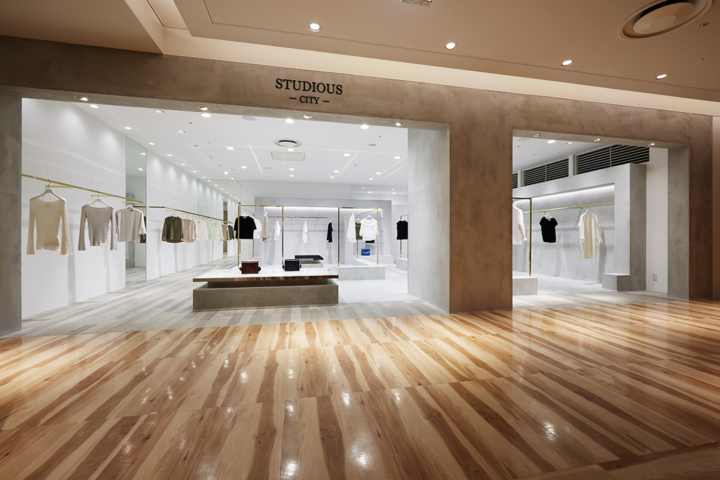 The interior design for a selected apparel shop STUDIOUS, an exclusive boutique for Japanese brands. 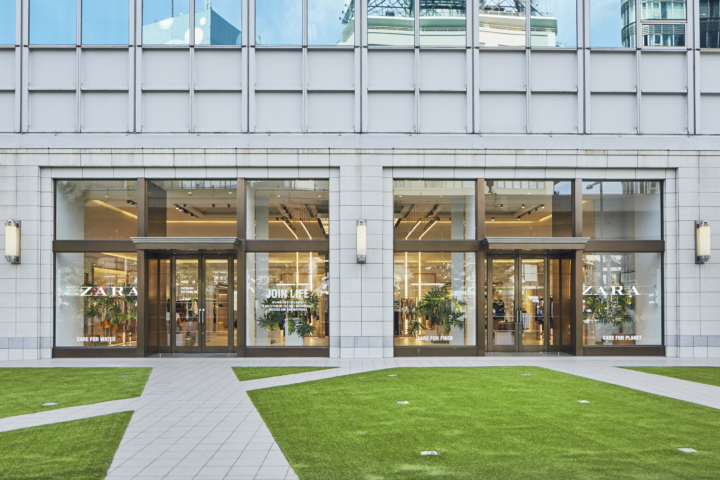 This is the 5th shop of STUDIOUS designed by ODS (Oniki Design Studio), which carries one of the continuous concepts ‘White with Depth’. 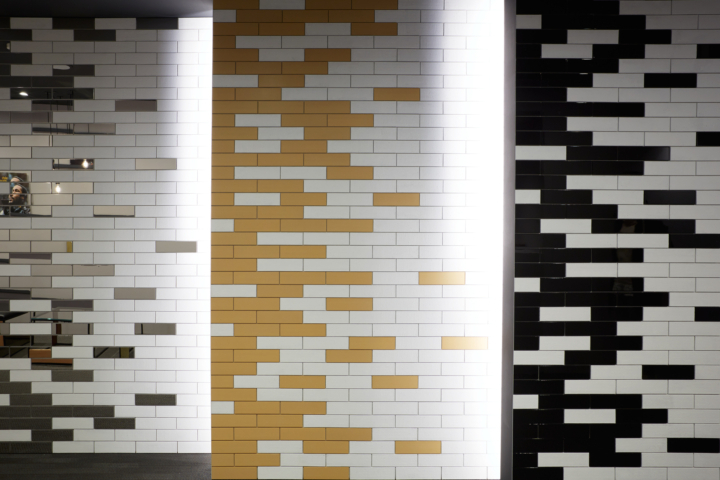 This time, the concept is showcased by using ‘light’ and installed a 6.5mx2.0m fabric over one of the entire walls to be used as a light-emitting surface. The clothes rails are made by using the minimal material by fixing 18mmx18mm steel pipes between the floor and the ceiling, and putting across the same sized steel pipes between them to create the pipe hangers. 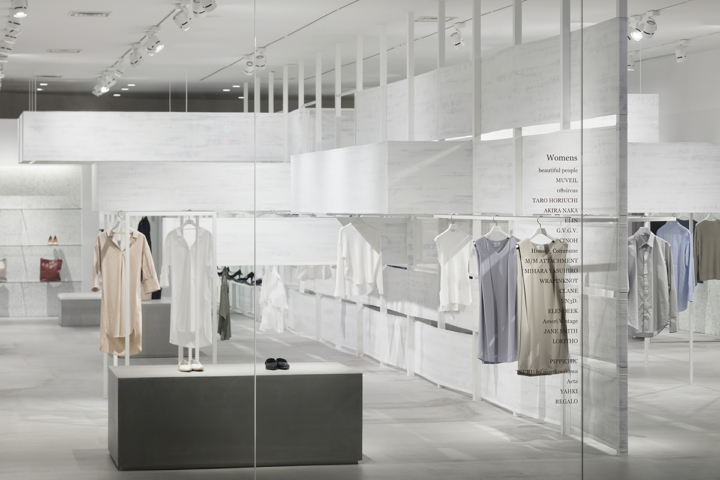 We aimed to showcase the simplicity and richness of the STUDIOUS’s concept through space by filling the shop with the ‘light’ from the light-emitting surface and with the minimal use of decorative elements in the design.